The Sages of the Gemara are known as Amoraim because they would "say" the teachings that they had learnt over, to the next generation. 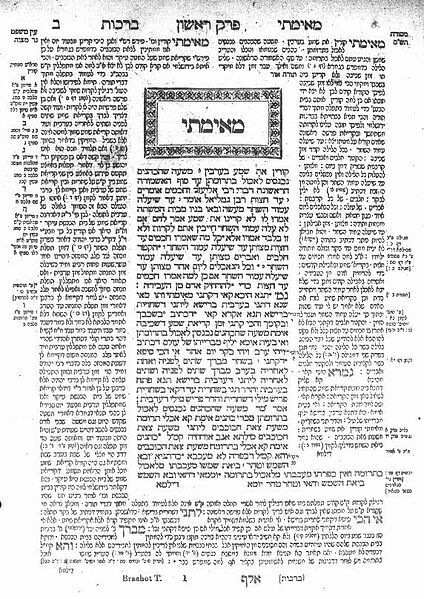 On today's Daf of Talmud for the day - Shabbat Daf 67, the great Amora - Rabbi Yochanan is mentioned. His father died before he was born and his mother shortly thereafter. He was raised by his grandfather. He was just 15 years old when the editor of the Talmud Bavli - Rabbi Yehuda HaNasi died. He was a large man (with thick eyebrows!) and handsome! His greatness as a Torah scholar was second only to Rav and Shmuel. He moved to Tiveria (Tiberius) where he composed the Talmud Yerushalmi (the Jerusalem Talmud). He is well known for his relationship with his brother-in-law Rabbi Shimon ben Lakish (Reish Lakish) - the head of a gang of robbers! Although they met each other by a river as Reish Lakish jumped over it, and although seemingly so unlike each other, they became so close to each other that Rabbi Yochanan was not able to cope with life after his brother-in-law (and Chavrusa - learning partner) died and Rabbi Yochanan too died shortly thereafter. Being handsome and a learned scholar, he would sit outside the women's Mikvah as the women returned from immersing. As it is vital that women leaving the Mikvah see only pure and good sites upon exiting, he would sit nearby allowing them to glance at him as they left in order to have the image of a great Torah scholar imprinted in them. In this way, he gave them the opportunity to consider the importance of bearing children who would become learned in Torah and fearful of Heaven. 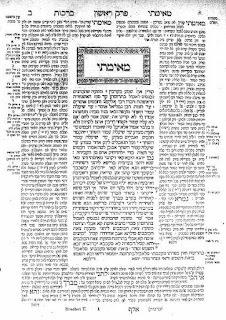 He taught that Halacha follows the Stam Mishnah (which is in fact the opinion of Rabbi Meir.) He never left the Land of Israel his entire life!